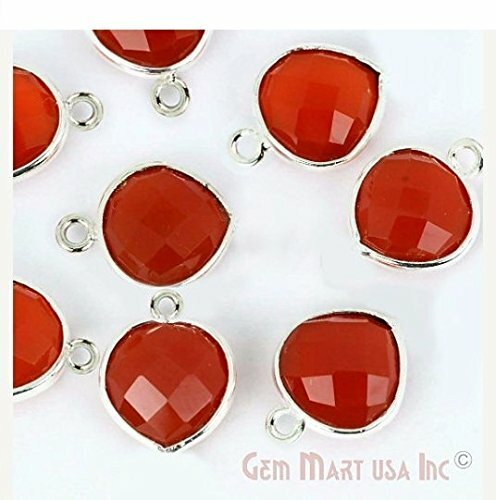 This is Amazing Quality Bezel Connector in Silver plated Single Bail for making, decoration or collection purposes. Bezel Heart Shape Connector for jewelry making, decoration or collection purposes. Ideal for jewelers, designers, hobbyists, crafters, collectors and teenage kids (as beading project) You will get 1 pc of this amazing looking Silver Plated Single Bail Connector. Bezel Heart Shape Connector 10mm heart Silver Plated Single Bail Excellent quality Connector, sure to make your piece stand out. Connector is created at GemMartUSA Inc.'s facility. Please contact us for bulk order inquiries.